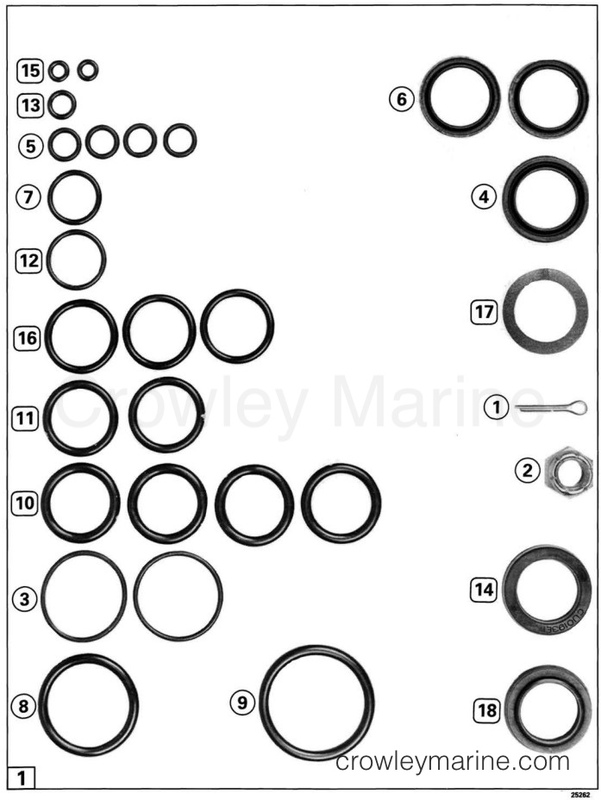 This O-ring and Seal Kit will service one power steering cylinder and valve assembly for CD (1986) and newer motors. The installation of this kit involves procedures that require special training for the installer, plus the installation may require special tools and/or Service Manuals and other literature. Service Technicians at your Dealer have received special training and have the equipment, special tools, and reference literature for your product. We recommend that you have this kit installed by your Dealer. Read all of the installation instructions and review the contents of this kit before starting work. You will need the parts listed in the Qty. column for the model you are working on. Use the full-size photograph to select the parts for your model. Discard the rest. Install the parts at the locations shown. Refer to the Service Manual, Power Steering Section - Cylinder and Valve Housing Servicing for the service procedures. 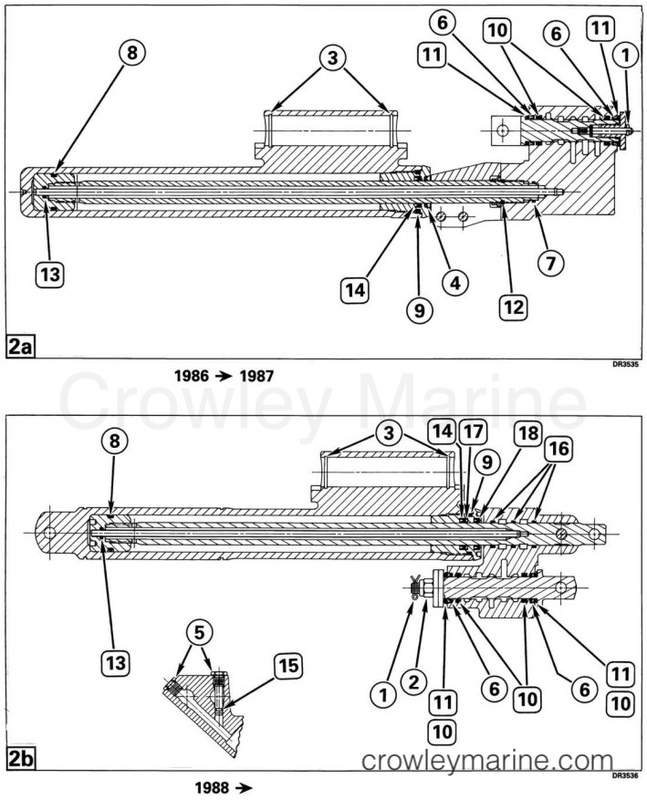 *For dual (both power steering) '88 thru '90 motors with boat hydraulic steering; use four (10) O-rings and none of the (11).